I honestly don’t know what Browning’s deal is. I’ve heard of them, but never seen one of their rackets in person. As far as I can tell, they don’t even have a company Website. Ive been using a slightly head heavy Browning Biggun 130 ti. I really like it, it seems to suit my game well. I bought the Browning Plasma nano 140 and i loved it from the first game. Light and manoeuvrable and doing exactly what i wanted. However the racket itself only lasted about 3 weeks. I hit the wall on the third week of having it, and i didn’t think it was particularly a bad hit, but the racket twisted out of shape. The shaft seemed to twist and the racket head was curved over. Im so disappointed as i really was loving playing with it. I want to get the same racket again but Im wary now that they may be a bit flimsy. Has anyone else experienced this? I am currently using Browning rackets via Racketworld in the West Midlands. I was using the Plasma 130 which was a little head heavy but now use the Plasma 120 which is as close to the Prince Power Shark as I could find. I cant believe how cheap they are and the strings aint half bad. 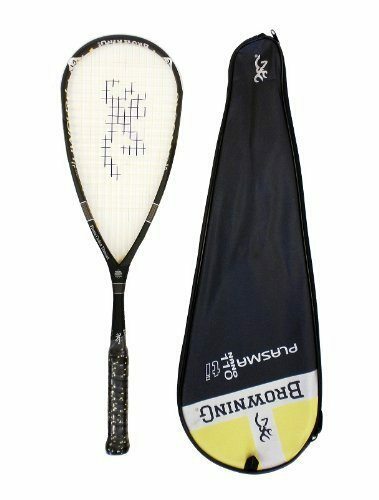 Great racket for the price and racketworld do cracking deals. Browning have been making some of the lightest racquets in the market for decades . They tend to inflate the r.r.p. Then offer the racquets at a fraction of the price. There are no big name pros endorsing them nor do you see them spending money on marketing. The racquets themselves are very decent and are good value for money. We pay about £50 for the 100g racquet which is about the lightest you’ll get. I’ve owned several and they’ve served me well enough. Ive also noticed some very good league players using them . I’ve just broken my Prince speed port silver after 7 years and am considering a Browning again. Browning makes a wonderful .22 caliber pistol as well as other firearms. I would say they’re known for their .22 though….very wonderful pistol…i believe they stole ruger’s model and improved upon it. i’m a wilson guy when it comes to racquets though! Maybe their rackets help you develop that killer instinct? Click here to get the Squash Source newsletter! I send out an email about once a month. 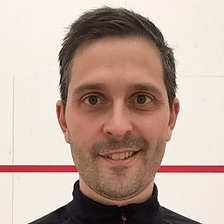 The newsletter contains a rundown of the latest squash equipment news and reviews from Squash Source.